I don't go to Olive Garden very often, but when I do, I'm happy eating just the salad and breadsticks. I don't need to order anything else on the menu! 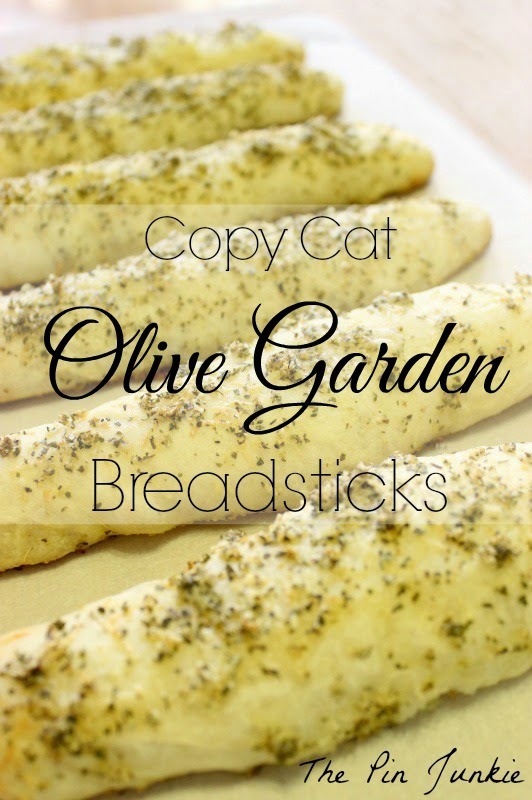 I've seen lots of copy-cat recipes on Pinterest for the Olive Garden breadsticks and decided to give it a try, because who wouldn't want to have those buttery, garlicky carbsticks . . um . . I mean breadsticks at home anytime you want? These breadsticks were good, but I'll be honest, they weren't quite the same breadsticks from Olive Garden and it was totally my fault. I went a little crazy with the herb topping and Olive Garden breadsticks don't have that much oregano. I also couldn't get the breadsticks in that perfectly uniform shape, but I guess I'd be ok if they didn't look like the real thing as long as they tasted like the real thing. And they didn't taste like the real thing because I completely forgot to add the butter in the recipe! So clearly, I need to try this recipe again! 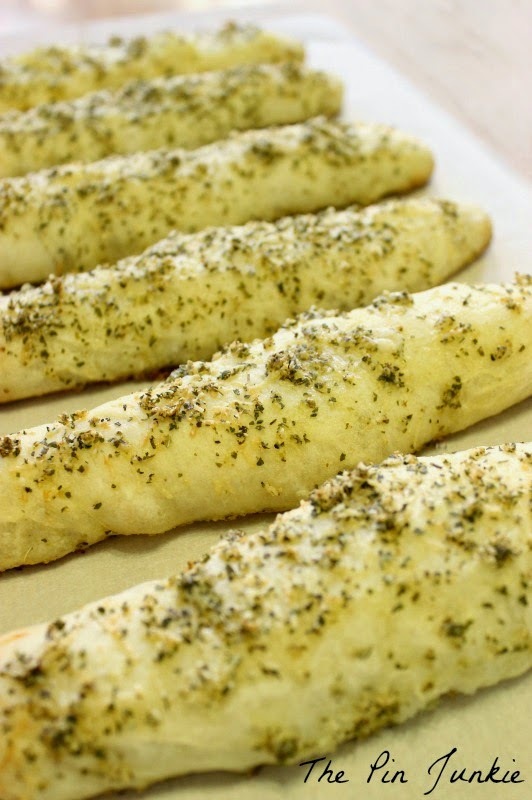 Despite not tasting exactly like Olive Garden breadsticks, they were still pretty good and everybody enjoyed them. I'm hoping next time I can get the recipe right and they'll be even better! Looking for more copy-cat recipes? 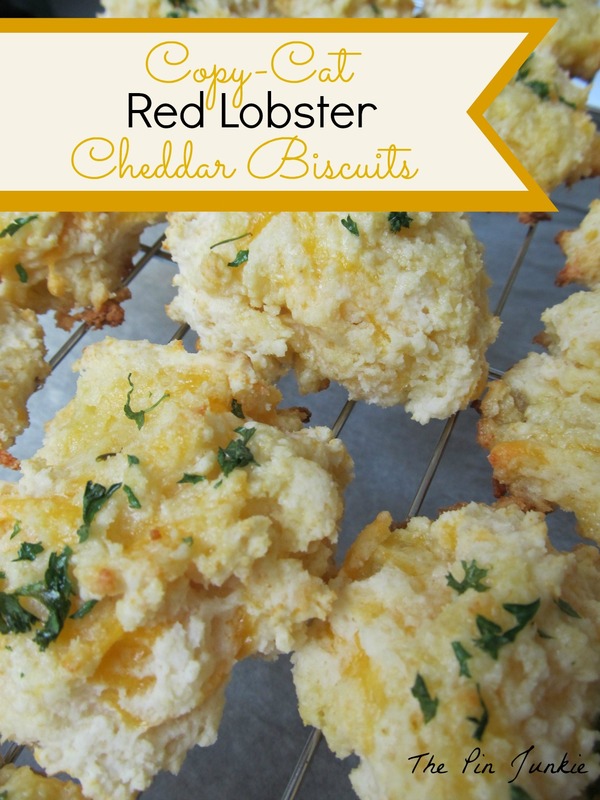 These Red Loster Cheddar Biscuits are fantastic! Olive Garden breadsticks were inspired by this pin and this pin.